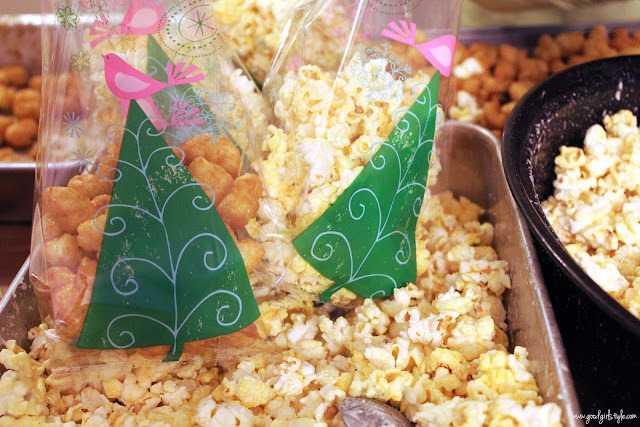 A little bit of Christmas Catch-Up is on the docket for today...a few things I never got around to sharing. I made the advent wreath this year! 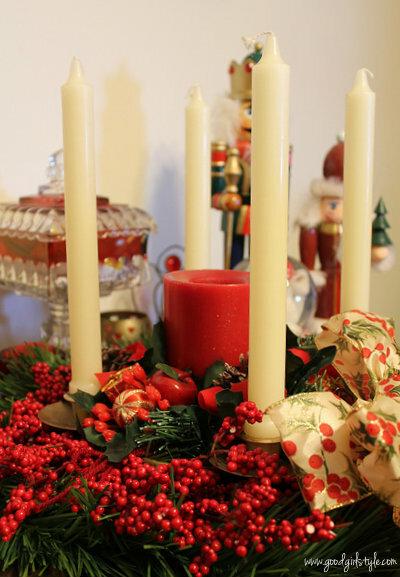 SO pretty, I LOVE an advent wreath! 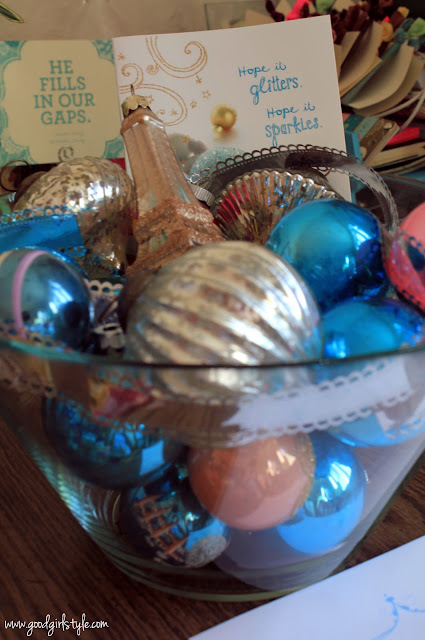 In my room, I had this pretty big bowl of vintage ShinyBrite ornaments, a few mercury glass balls, and my favorite glittery Eiffel Tower ornament. I twirled in some silver ribbon and my one of my Christmas cards from this year (they were totally Taylor Swift Christmas cards and I am not ashamed to admit that!). 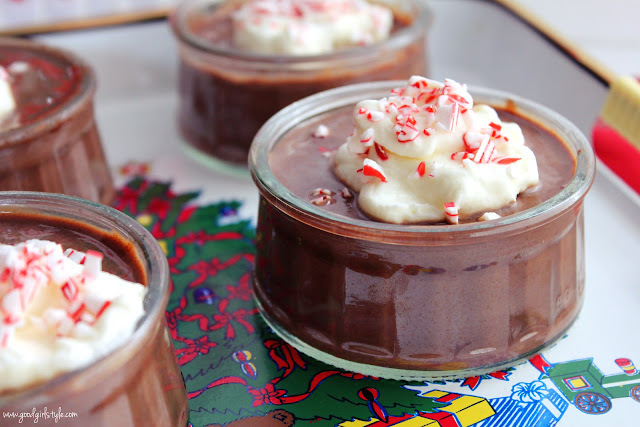 Made some Bittersweet Chocolate Pots de Creme with Homemade Whipped Cream & Peppermint. YUM! 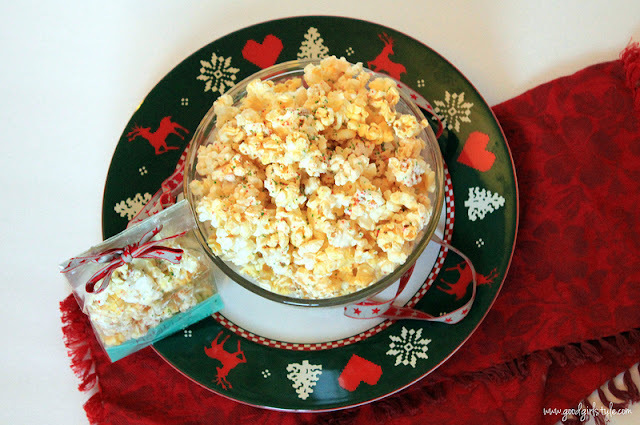 We made SEVERAL batches of my Grandma's famous white-chocolate popcorn (with green & red colored sugar) and caramel corn. 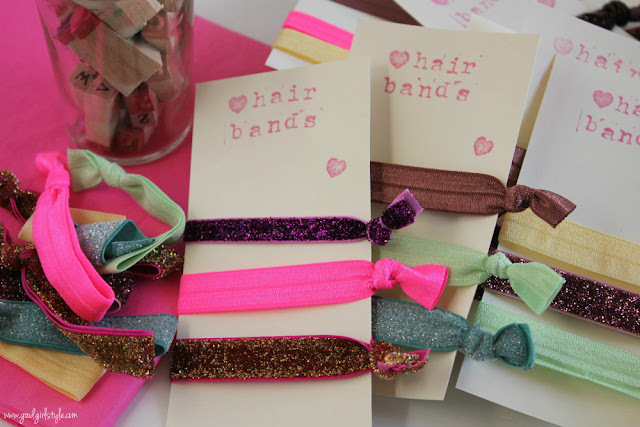 I made DIY versions of these (way too expensive) awesome Anthropologie hairbands for some of my friends! Just a few fun things from Christmas I wanted to share before it was totally way lame to do so. Hey, I'm still well within the 12 Days of Christmas (which come after Christmas, but you knew that, right?). How did you make those super cute headbands? What a good idea and gift to have on hand!